Jackson: It's the right thing to do. AutoNation Inc. will no longer sell any vehicle, used or new, with an open safety recall. The new policy will be costly, AutoNation CEO Mike Jackson says, but it's the right thing to do for customers. Jackson declined to estimate the expense but noted that 5 to 10 percent of AutoNation's inventory would be deemed unsellable at any given time under the new policy. "The recall situation for the U.S. auto industry is a black eye. It is a dysfunctional nightmare that the industry should be ashamed of, and customers are right to be angry and confused," Jackson said. "As part of the industry, we have to hold a mirror up and say, 'What can we do better as a company?'" So six weeks ago, the nation's largest new-car retailer stopped selling vehicles subject to recall until the repairs are made. The vehicles won't be sold to retail or wholesale customers, even when they're old, high-mileage cars destined for the scrap yard. 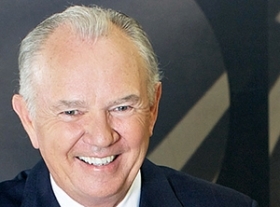 Halting sales began manually, but AutoNation is using technology to automate it. Executives expect full automation by December. Once the bugs are worked out, Jackson says he will share data and technology with any dealership group that wants it at no cost. While Jackson wouldn't estimate cost, a major part will be buying more vehicles to replenish inventory reduced by the lockdown of vehicles with open recalls. AutoNation will buy an additional 10,000 vehicles, mostly used, over the next few months and maintain vehicle stocks at that higher level, Jackson said. The company's normal new and used inventory is around 80,000 vehicles. Jackson didn't make an outright pitch for the new policy to become industry standard. He understands that grounding vehicles with open recalls will cause considerable complications and expense for retailers and is practically impossible to handle manually. But when customers buy from a dealership, they think all recall work has been completed, Jackson said. So for the industry to get to where customers' expectations already are, everyone -- manufacturers, suppliers and retailers -- has to look at what can change, he said. "If every time a vehicle, new or used, moves through the franchised automotive retail system, every recall is completed, then the completion rate on recalls in total -- both how fast they get done and the percentage that get done -- will increase significantly," Jackson said. "And there we can make our contribution to the solution." Under AutoNation's new policy, all vehicles at the company's 237 dealerships with open safety recalls are being physically pulled from inventory with "Not For Sale" hang tags and key tags placed on them. AutoNation COO Bill Berman said the retailer can run a report at "the flip of a switch" to see every vehicle in its system with open recalls. It's also working to use its dealer management system to set up necessary roadblocks along the sales process: for instance, preventing paperwork from being printed or stopping the vehicle from moving through certain accounting functions or going to auction without proof of the recall work being done. AutoNation won't try to judge which recalls are important. Vehicles will be grounded even if the recall is to update an incorrect owner's manual. The company will continue to accept vehicles with open recalls as trade-ins and value them according to standard guidelines even when they'll require additional time and investment during reconditioning. AutoNation has been debating how to handle recalls for almost two years, Jackson said, since the explosion of the General Motors ignition-switch recall. AutoNation pulled all vehicles affected by that recall from its inventory and refused to sell them until they were repaired. It followed suit with the Takata airbag recall this year. "When the Takata airbag came along, we said, 'We can't go on like this,'" Jackson said. "We need to have an automated system."